I’m having a sandwich. Brown sub roll with Coronation chicken, lettuce and a slice or two of red pepper. It’s a good sandwich, a great sandwich, I am enjoying it very much. However I wouldn’t go so far as to say it is my favourite sandwich. Sooner or later I will return to my first choice. I know I will. I always do. (its beef/pastrami, onion, lettuce and mustard FYI). The point is we all have our favourites, our “go to” things. Things that we always fall back on, return to like an old familiar friend. 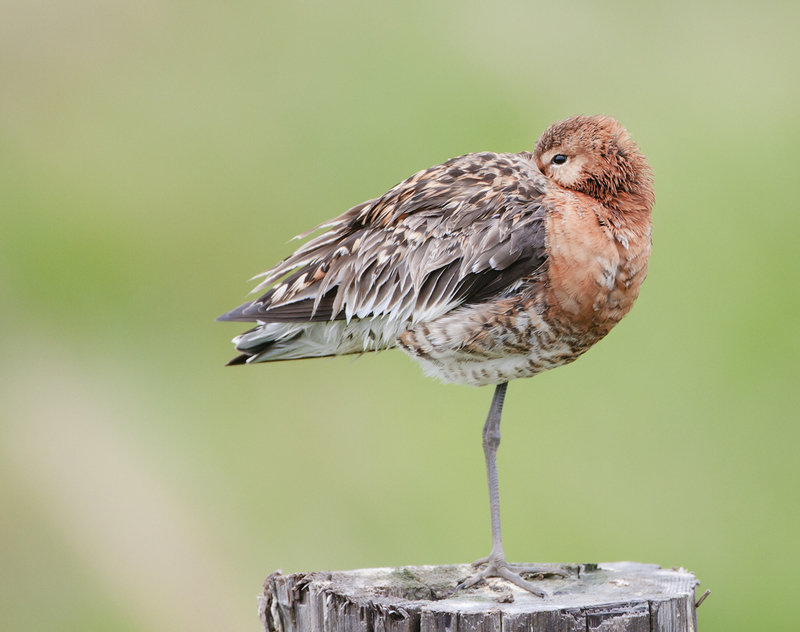 I have been photographing migratory shorebirds for a few years now and I have a collection of images of many species, but I always seem to gravitate to one species in particular. 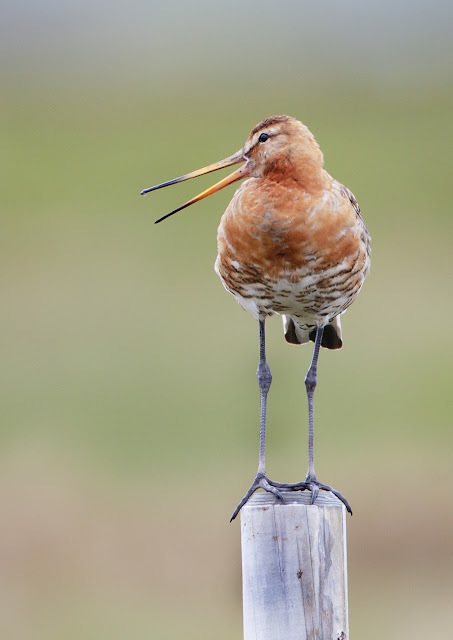 The Black-tailed Godwit. 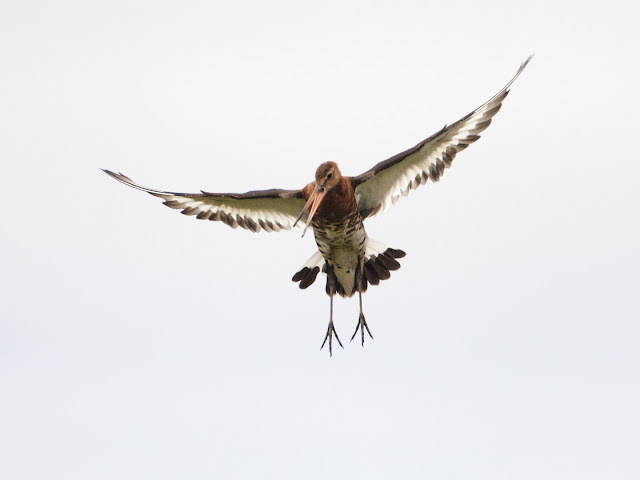 No matter where I have been or what I’ve seen I always seem to come back to Blackwits. I’m not sure why either. 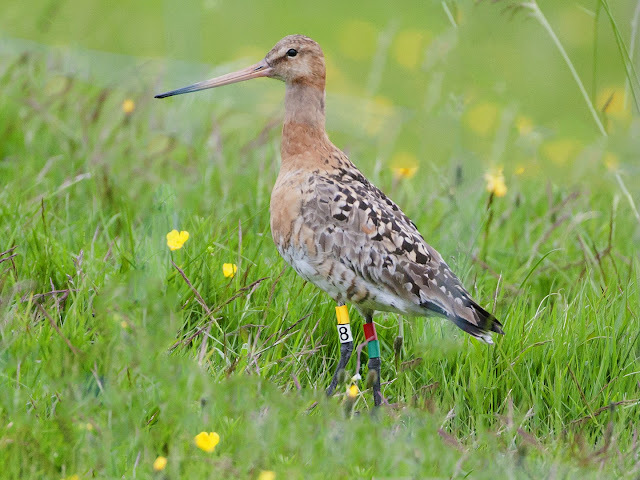 They aren’t particularly rare on the Patch, they are rather plain in winter (when Patch numbers hit a maximum) and they don’t breed on Patch. I don’t know what it is but I can’t get enough of them. 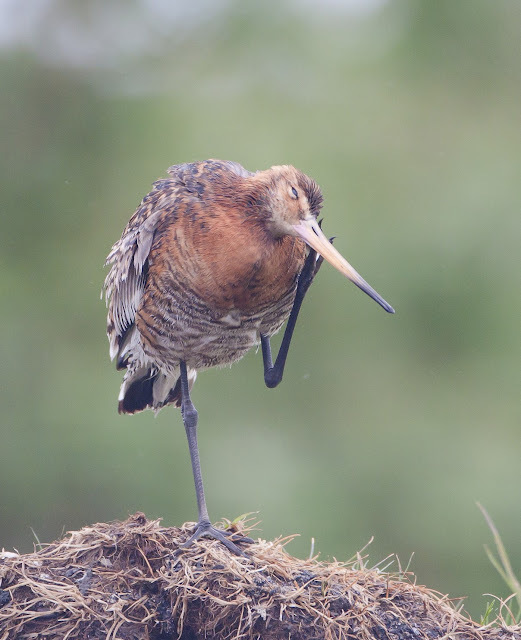 Perhaps it is the stunning summer plumage. Perhaps it is not the birds themselves. 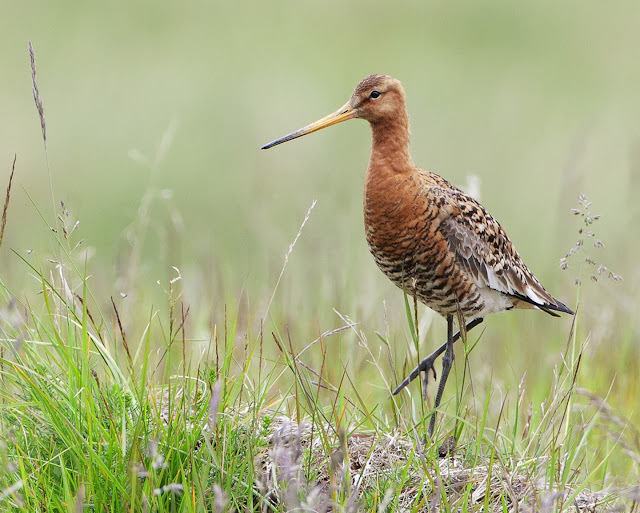 It could be because of Operation Godwit, a project between Britain and Iceland that studies these imperious shorebirds to find out more about their migration ecology and how and why their number have risen over the last few decades. I have spent so long looking for colour ringed individuals that I have become so used to these birds and their characters and habits. I suppose my admiration for them has crept up on me, sort of filtered into my consciousness by ornithological osmosis. Now I’m hooked. So it was bags packed and off to Iceland where the birds that winter on my Patch go to breed. I had heard that waders breed in Iceland at incredible densities and that I’d see plenty so I had high hopes. I wasn’t disappointed. 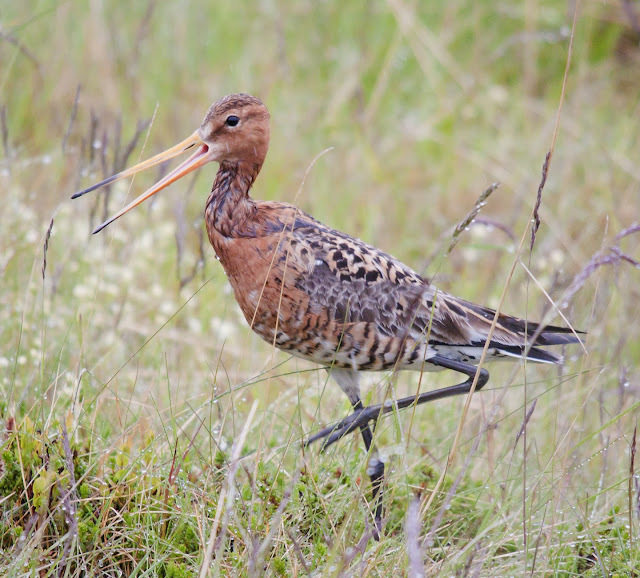 Travelling around the island we saw hundreds of breeding pairs of Blackwit, Snipe, Whimbrel, Ringed and Golden Plover, Redshank and Red-necked Phalarope. They were so easy to see too! Along the roadside chicks would search for insect food while parents reclined on nearby fenceposts. Before the trip I was concerned about taking pictures of breeding birds. It is not something that I have ever really done. I strongly believe in not disturbing my subject. I have no interest in obtaining images to the detriment of the birds. I’m not so arrogant or naïve to think that I get my pictures without the birds knowing I am there, but as long as I do not alter their behaviour and harm their chances of survival I am happy to record them. I was able to see these birds in their breeding habitat and to see their chicks (I was able to ring some too!) to witness the parts of their life cycle that I can’t see on the Dee. It was the ultimate trip for a Blackwit obsessive like myself. There are many stories to tell from those northern shores, tales of Phalaropes, Harlequins, whales and divers. But for now I will leave you with the Black-tailed Godiwt my king of waders….